Mission: Blessings in a Backpack mobilizes communities, individuals and resources to provide food on the weekends for elementary school children across America who might otherwise go hungry (Blessinginbackpack.org). Teen Clean Closet has a great relationship with our local extension of this organization. Please check out the fantastic work they do. Hunger is real in Oakland County. 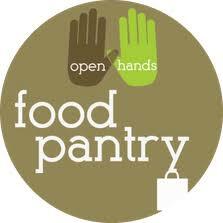 The Open Hands Food Pantry was started in a small closet to provide food for neighbors in need. Today it serves 14,000 annually with food and toiletries. Through the generosity of their volunteer staff, Open Hands distributes food twice a week to Oakland County residents. Open Hands is a 501(c)(3) non-profit organization and has expanded to include the Open Hands garden to provide fresh produce to food pantry clients. Teen Clean Closet is a community resource for families of Open Hands Food Pantry, in addition when we gather enough items we donate to them, recently donating toothbrushes for families. Royal Oak Optimist Club : The mission of the Optimist Club is to bring out the best in kids by providing hope and a positive vision. Teen Clean Closet is excited to partner with The Royal Oak Optimist Club for both fundraising and awareness oppurtunities. Teen Clean Closet has often been the beneficiary of financial donations from the Rotary Club of Royal Oak, as well as their unwavering support of our mission.